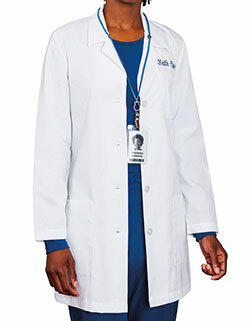 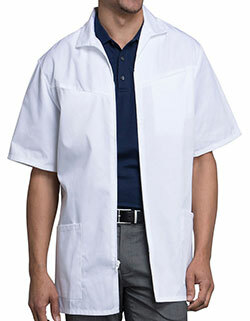 Make a statement at work in Meta Men's 30 Inches 7-Pockets iPad Consultation Lab Coat loaded with performance features. 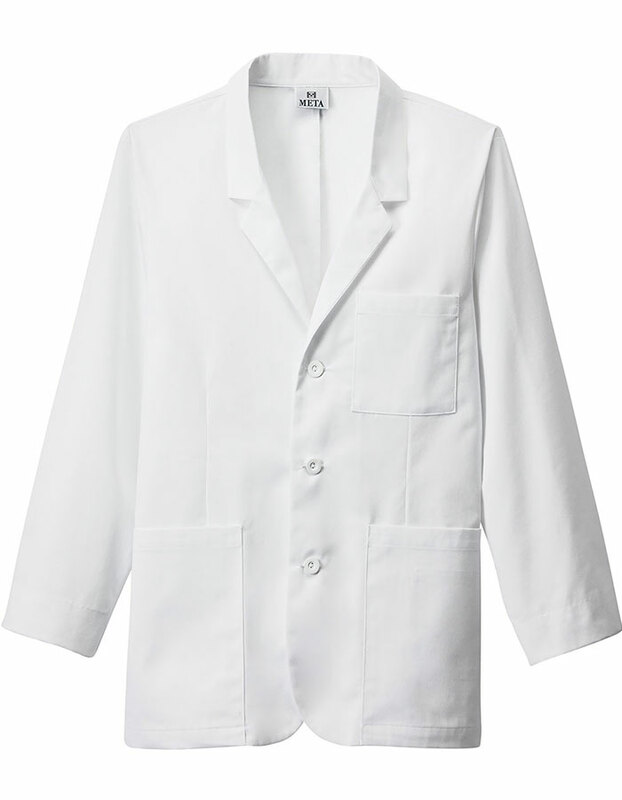 Featuring a notched collar with front closure and front darts, the lab coat gives a tailored fit. 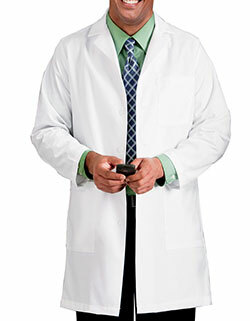 Moreover, two lower outside iPad pocket, one hidden cellphone pocket, one chest pocket and three inside pockets make storage secure and hassle free.